Why would I need self storage in Plymouth Meeting, PA? There are a variety of reasons why you might need self-storage in Plymouth Meeting, PA.
How much is a storage unit in Plymouth Meeting, PA? The cheapest storage unit in Plymouth Meeting, PA is $52.00 per month. What size storage units do you have available in Plymouth Meeting, PA? In Plymouth Meeting, PA we have sizes that range from 5'x5' to 10'x20' to suit your storage needs. How much is it for a 5'x5' storage unit in Plymouth Meeting, PA? The cheapest 5'x5' storage unit in Plymouth Meeting, PA is $52.00 per month. 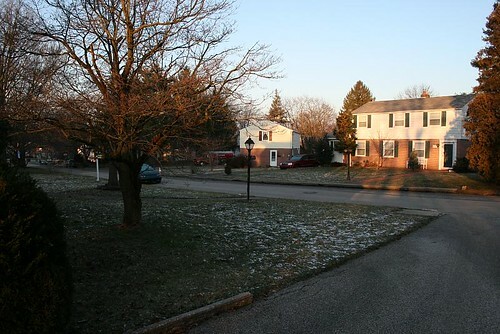 Plymouth Meeting is a small community in Pennsylvania's Montgomery County, made up of a mix of historical homes, high-rise apartment complexes, new home construction and other modern amenities. Highways connect the township to neighboring cities, offering an easy way to travel around the area. Plymouth Meeting originally served as a community of Quakers who fled England in search of religious freedom. It was founded in the 1680s and named for the original Plymouth Friends Meetinghouse, where early settlers gathered for fellowship and planning. Today, that structure still exists as the Plymouth Monthly Meeting and serves as a house of worship. Most of the Quakers intended to earn their living in wool-making, but they discovered large quantities of lime in the area. They quickly switched their sights to the production of quicklime, which is used to make cement, paper and other products. The township grew steadily throughout the 18th century. The Quakers did not believe in owning slaves, so there was an extremely small slave population in the area. The meetinghouse was used as a hospital for the wounded during the Revolutionary War, and locals continued to live peacefully throughout the 1800s. During the Civil War, residents of Plymouth Meeting provided slaves with underground protection. Plymouth Meeting rates well on many levels, from its high graduation rates and stable housing market to the low crime rate and well-rated schools. You'll find plenty of amenities in this quaint East Coast township, including abundant restaurants, shopping destinations and coffee houses. There are two libraries here and several fitness centers from which to choose. The Plymouth Meeting Mall is one of the top shopping spots in the community, hosting many retailers both small and large, as well as a movie theater. Plymouth Meeting also has more than 10 parks as well as the Greater Plymouth Township Community Center, which offers many recreational programs. The community's location near the confluence of several major roadways and the Mid-County Interchange, have made it a desirable location for businesses and retailers. The convenient transportation infrastructure has played a major role in fueling the city's growth, including a good job market and a strong local economy. You'll find a number of large office parks throughout town, all offering a variety of jobs in the area. Colonial School District manages several public school campuses in and around Plymouth Meeting. It's one of the highest-rated districts in the state, consistently achieving high test scores and graduation rates. There are also a few private schools in Plymouth Meeting, as well as a satellite campus of La Salle University. Utilities: PECO supplies Plymouth Meeting homes and businesses with electricity, while sewer services are maintained by the local utilities department. Garbage and Recycling: Most homes in the area receive regular curbside collection of trash and recycling. Transportation: Public transportation options in Plymouth Meeting and the surrounding area include bus and commuter rail routes. The median home price in Plymouth Meeting is well above the national average, but that's not surprising for a comfortable suburb in the Philadelphia metro area. The good news is that there are homes at many price points, so you should be able to find something that works with your budget. Options include a mix of small, cozy apartments and larger family homes. Our lowest priced units in Plymouth Meeting, PA average $52.00 per month. 56 people have reserved units in Plymouth Meeting, PA in the past 30 days. There is 1 location within Plymouth Meeting, PA's city limits.